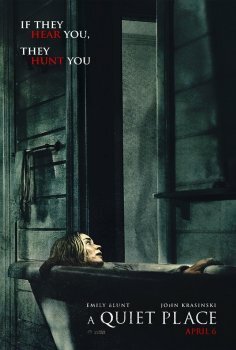 A Quiet Place - Available as a download or stream? The third film directed by John Krasinski, a supernatural tale about husband and wife (Krasinski, Emily Blunt) living on a farm haunted by a foreign entity. The family take an oath of silence, communicating only in sign language, in fear for their lives, as the aliens are hypersensitive to sound. It will be in theaters on April 6th, 2018, after its SXSW premiere the month before.